The SPD 15th Call for Entries, published in 1979, is one of the most unusual of its kind. 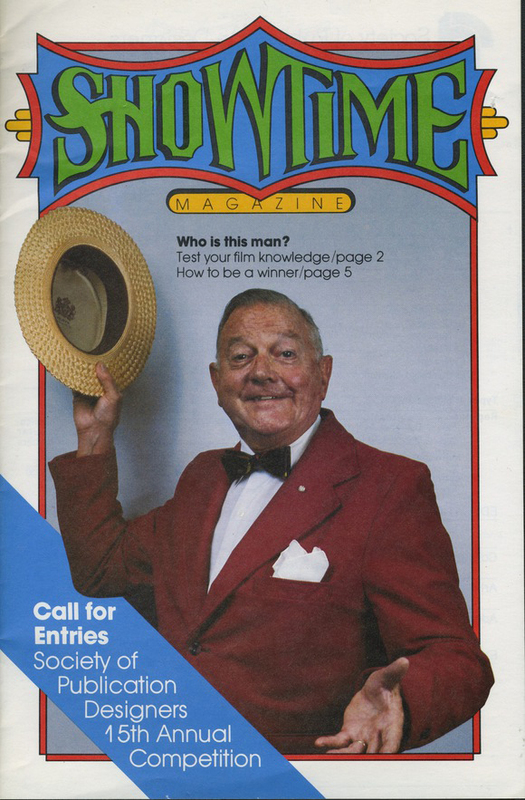 While previous and later calls tended to be large format posters that folded into a mailer, this edition was a fake magazine, called Showtime. 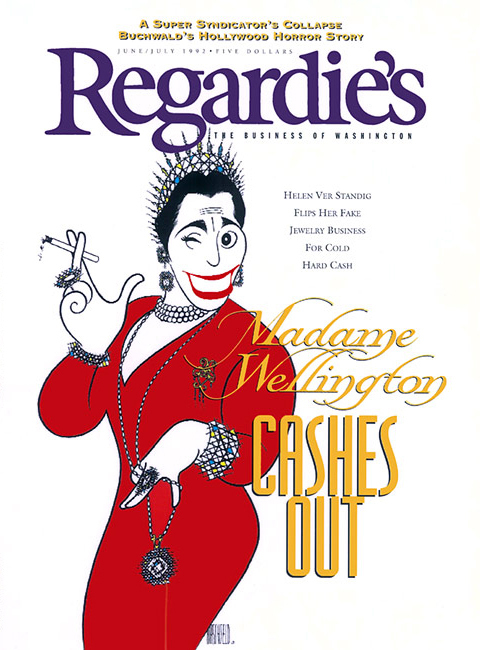 The cover and inside pages featured a series of photographs by John Nation of a Louisville, Kentucky-based actor, wearing a wide variety of hats and costumes. 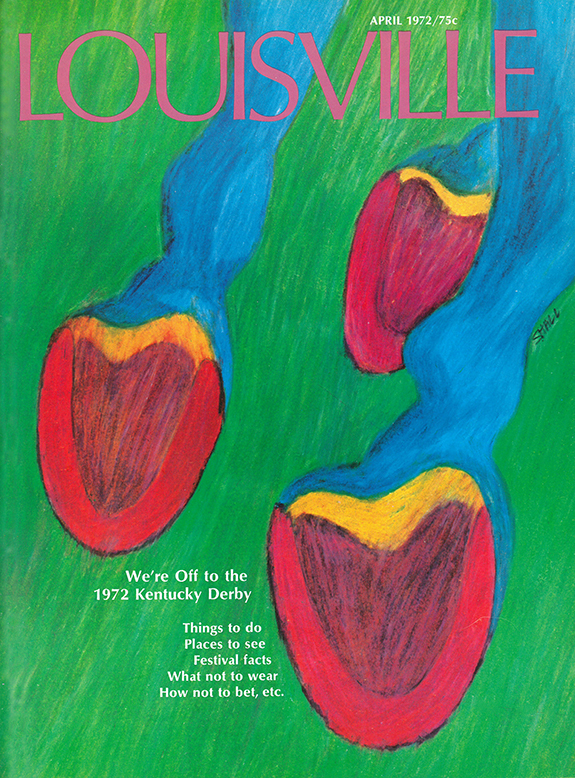 Cover illustration by Stephen Hall for the Kentucky Derby issue of Louisville Magazine, 1972.
Who were you when you art directed this piece for SPD? Where did you live, work, what was your title? And what was your experience earlier? 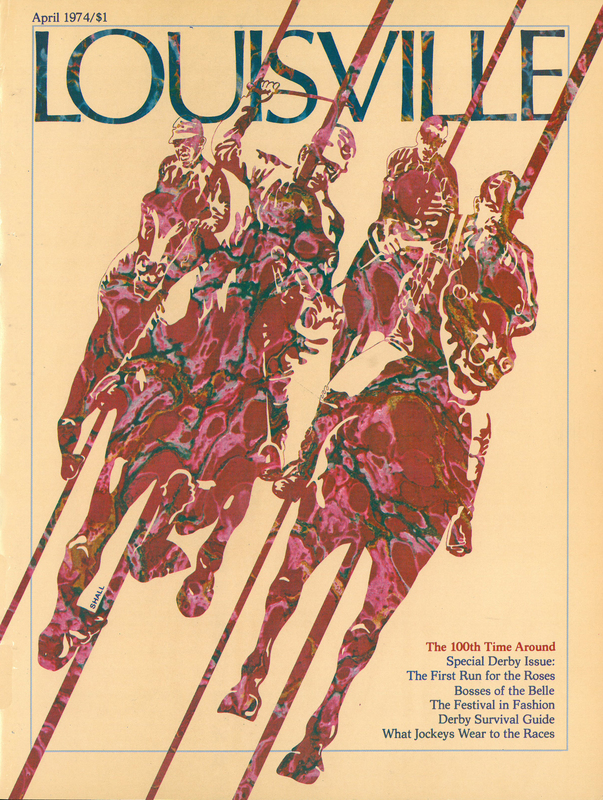 Illustration by Stephen Hall for the 100th running of the Kentucky Derby on the cover of Louisville Magazine, 1974.
art director of Louisville magazine. After two years, I opened my own shop. Fortunately for me, Louisville stayed on as a client for the next 13 years. I had a staff of nine full-time designers and a pool of about a dozen freelancers to call upon. I specialized in publication design providing on-going art direction for magazines like Landscape Architecture and U.S. Glass, as well as redesign assignments for magazines like Michigan Living and The Lutheran. What was your relationship to SPD? I joined SPD early in my career. I viewed it as an essential tool for career advancement. SPD kept me abreast of the magazine design trends and provided examples of the best design work through their annual shows. It set the benchmark for professional publication design—particularly magazine design—as well as being an information clearinghouse. I had attended receptions in New York for the annual show winners, myself included, but wanted to take part in the show mechanics. I felt the best way to get involved with SPD was to volunteer my services. 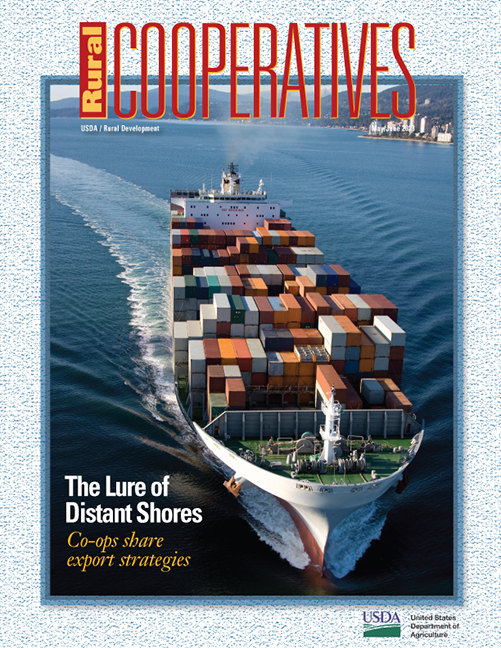 Who is that guy on the cover of the Call for Entries 15, and how did you come up with that very creative approach? Dr. William Keller was a psychiatrist who acted in local amateur productions. He turned his hobby of collecting hats into a one-man show which he performed in local hospitals and nursing homes. When I volunteered to work on the 15th Annual Call for Entries, I proposed doing a faux magazine instead of a poster. My firm, like most, received many posters promoting design or illustration shows, both local and national. It just seemed natural that a call for entries for publication design should be in a magazine format. Dr. Keller’s act, as told through the photos, became the framework from which to hang the call for entries information. Who did the artwork and typography on the cover, and how was it done? A few of the 45 magazines designed and art directed by Stephen Hall. letters and graphic rules and elements using a combination of Rapidograph pen, brush and plastic bézier curve templates. John Nation shot the cover and most of the interior photos. Nation’s career and work have been inextricably linked with Louisville magazine for thirty years, with John a perennial winner of the Society of Professional Journalists’ Best Regional Magazine Photographer. What was the response from SPD and its members to this piece? The initial response was good—it was creatively different and attention-grabbing. However, we decided for practicality’s sake that we should also do a poster. A poster is more functional—it gets hung up on the wall and noticed reminding everyone in the office of the approaching deadline. 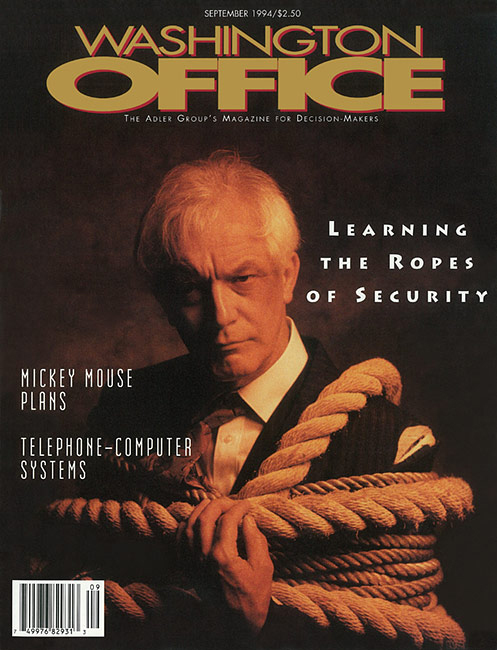 Whereas a magazine format lays on the desk, and gets covered over by the mounds of camera-ready art boards, paper and photos that art directors dealt with prior to computers. Can you remind those of our younger members how the production on a piece like this happened…type, paste-up, etc.? It was truly cut and paste! Type galleys (long columns of type) were cut with an Exacto knife and pasted onto camera-ready art boards with wax adhesive, rubber cement or ReMount spray adhesive. The first thing we did for the Showtime Call for Entries was to create a layout board with hand-drawn margins and a column grid using a non-reproductive blue pencil. For the magazines, we had the luxury of pre-printed boards based on our page grid. The layout board then was taped down with white drafting tape onto a drawing table making sure to square it up to the edge with a metal T-square and triangle. Then the headline or type column would be cut to fit the layout, waxed and burnished down into position. We were so good at mechanical production that we could eyeball it, and then check it with the T-square and triangle to be sure it was straight and aligned. The editors would inevitably catch a typo or make an alteration after we’d pasted the final type onto the art boards. With our tight deadlines, we didn’t have time to request a new set of corrected galleys from the the type house. Instead, we made the change ourselves cutting letter by letter to form a new word or punctuation. If a rule, box or circle was part of the design, that was hand drawn with a ruling pen or bow pen. Good hand and eye coordination was critical for art directors and production designers. You’ve had a broad experience working in multiple mediums and platforms. What is it about publication design that you enjoyed, and what did you learn from it? The fixed deadlines of a monthly or bi-monthly publication gave me a structure and routine that I liked. I knew what I would be doing every month of the year, and quite often the next several years (and, as self-employed, what my income would be). I always felt that you had to read beyond the headline in order to make appropriate layouts, as well as photo or illustration assignments. I enjoyed learning about different subjects and the challenge of laying them out in a way that informed and engaged the reader. 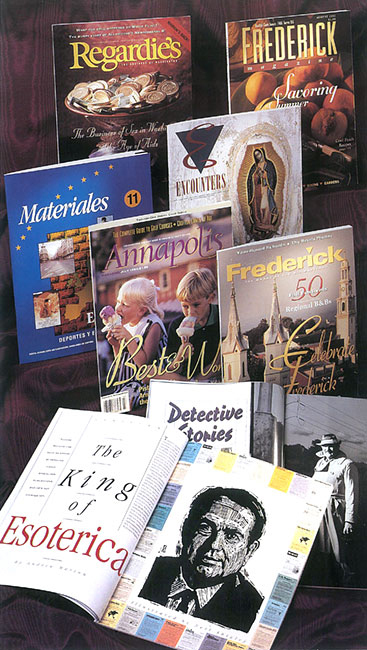 Working with magazine editors allowed me to expand my vocabulary and improve my writing skills. What are some of the highlights of your career after the time of this work? into fine arts. While I retain several of my publishing clients, such as USDA’s Rural Cooperatives magazine and The Prosecutor magazine, I’m presently focused on a painting career. Not happy with the quality of commercially available canvases, I’ve designed a revolutionary new way of stretching artist canvases. I recently applied for a patent of my design. My painting web site is Shallart, and my design website is Stephen Hall Design. How do you feel about the changes and state of contemporary publication design? With the advent of the internet and the early limitations of web design, I was concerned that publication design and production would suffer. It hasn’t. It is more robust than ever before.The digital world has freed designers from depending upon third parties, such as type houses and pre-press shops, and given them more control over the page, editors notwithstanding. See more of Stephen’s work at Stephen Hall Design and Shallart. Editor’s Note: The Society of Publication Designers is dedicated to promoting and encouraging excellence in editorial design. Its members are art directors, designers, photo editors, editors and graphics professionals. Since drafting its charter in 1965, the SPD remains the only organization specifically addressing the visual concerns of print and online editorial professionals. Editorial design plays a crucial role in shaping and documenting our common history; the efforts of the Society and its members also serve to educate and enlighten the public about the importance of magazines and online publications. Posted in Interview and tagged art direction, Design, graphic design, Interview, John Nation, Louisville Magazine, Publication, publishing, Rural Cooperatives, Shall, Society of Publication Designers, Stephen Hall, USDA. Bookmark the permalink.